After Saban hit it big with Mighty Morphin’ Power Rangers he decided that if there were going to be tons of copycats competing with him, it might as well be him. That’s the reason we got shows from Saban like VR Troopers, Big Bad Beetleborgs among others but there was only one that was an official spin-off that was set in the same world and continuity of the Power Rangers and that’s Masked Rider. 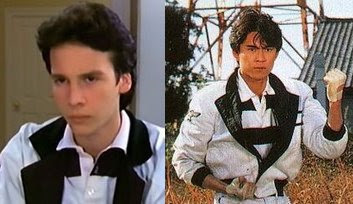 When I was a kid watching the season 3 three parat premier of MMPR “A Friend in Need” I was super excited, since the episode pretty much sets up a new villain that’s about to come to earth and now Masked Rider is coming to Earth to help them! At the time I thought like Lord Zedd had gotten rid of Rita Repulsa in Season 2 that Count Dregon would be the new villain for the Power Rangers to fight but he never appeared again which left me a bit confused but I eventually moved on with the plot of the season, little did I know that the story was continued in a different show that I never got to watch. Watching this show is a bit difficult and it’s odd how an official spin-off of Power Rangers took that long to make its way online counting it was a canon story of one of the most popular tv shows in the 90s. The show has a negative stigma among Power Rangers fans even if many have never seen it but I was always interested but is it really that bad? Overall the show is far from the worst thing ever as the fans try to make it to be but I think that may bave more to do with most people not having nostalgia for it so whle checking it out now it just looks goofy while MMPR/VR Troopers/Beetleborgs do have nostalgic appeal to most. Another reason might also be that thiss is based off the Kamen Rider Black R/X show which is considered to be one of the best shows and you have to really be into Tokusatsu if you’re a fan of Kamen Rider and they likely hate what they did to their “serious” franchise. There are many baseless rumors floating around as to why this isn’t on DVD or Netflix propagating the fandoms such as “Toei doesn’t want to show it again” without any actual source to Saban can’t show the footage which is proven to be false but thanks to Shout! Factory we do know there are indeed some rights issues but we don’t know what exactly. Masked Rider is basically a generic Saban Toku show but with a “family” setting that just isn’t as appealing as the other ameritoku adaptations had. The editing is fairly bad but on par with VR Troopers since they were both based off old shows and didn’t have any monster costumes to work with and just the japanese footage. 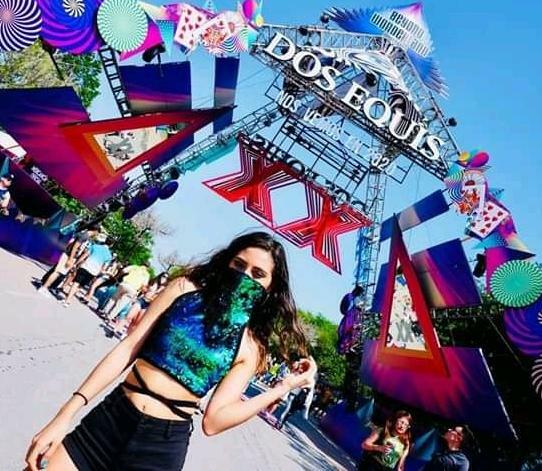 The characters are just not that interesting including Dex who is the main character but they all had potential even if never realized; I guess they needed better writers but I could see the whole family actually being interesting if a little more effort was put on them. The villains are also fairly boring and a lot more could’ve been done with them as they felt super threatening in their Power Rangers appearance. 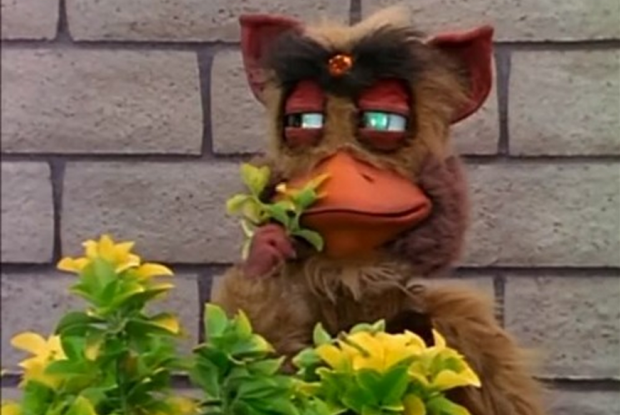 Two of my favorite characters are the neighbor who has a crush on Dex with her snobby attitude but as the others she had her potential cut but now my favorite character is Ferbus. I know, I know, he’s the cute annoying character I’m supposed to hate but he was so cute and actually funny during the show, I guess he just reminded me of a mischievous dog or something and didn’t take too much screen time like say Scrappy-Doo for comparison’s sake so that helped him. Weird how Furby’s have a similar name and look from him even though they came after so I guess Saban was on to something there. The battles themselves can be a bit boring since Dex has such a boring/monotone voice but even then the footage taken from Black R/X is still cool in its own right which made up for it. It’s funny how his fashion style and many things were chosen deliberately so it would fit the japanese footage better. 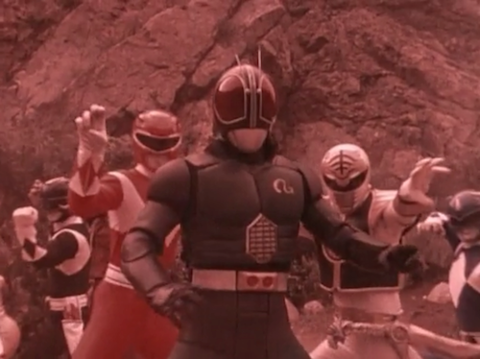 The final episode where we see the past “Masked Rider Warriors” is genuinely awesome and I enjoyed it as much as classic MMPR episodes, that one cut the humor so I guess that worked. Overall the show isn’t amazing and it has plenty of flaws but it deserves to be part of Power Ranger history.